Although most trip insurance policies wind up serving only as peace of mind, some travelers have to use them and file a claim. Without the right information, the process can seem confusing. According to the U.S. Travel Insurance Association, 90 percent of claims are honored. This is what every traveler should know to avoid falling within the other 10 percent. Some travelers may think that they understand the terms but may miss important details in a specific plan. Always call the insurance company prior to submitting a claim. Ask what documents they need, the correct steps to file a claim and how to send in the claim. The process is usually straightforward for filling out forms and submitting them with the right documentation. An insurer will want proof of a trip delay, cancellation or event that causes a policyholder to file a claim. For example, a statement from an airline about lost luggage along with a value inventory may be sufficient for lost luggage reimbursement. 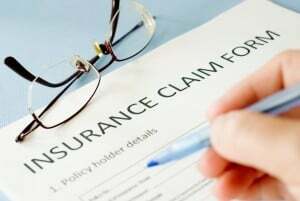 Medical records and a note from a doctor may satisfy medical-related claims, and a letter from an employer about a schedule change may satisfy a work-related cancellation. Include all supporting information required by the company. Travel insurance claims usually take a few weeks to process. However, complicated claims take longer. If the claim is denied, contact the company or agent that sold you the travel insurance plan. They will often help. Ask how to file an appeal. The good news is that about 50 percent of appeals are honored. When a company will not honor an appeal, the next step is to contact the state insurance commissioner and the Better Business Bureau and see if they can assist. Avoid working with unscrupulous companies by comparing trip insurance policies from trusted and known insurers. By reading reviews about travel insurance companies, it is easier to gauge which companies are best to work with. Comparing policies, rates and terms helps buyers understand their coverage, limitations and the claims process. If a claim is likely to happen, it is best to choose a travel insurance company with excellent customer service and claim-processing ratings. Before leaving, be sure to write down the insurer’s contact information. While traveling, save receipts for everything, and ask for documentation for any medical or travel expenses.